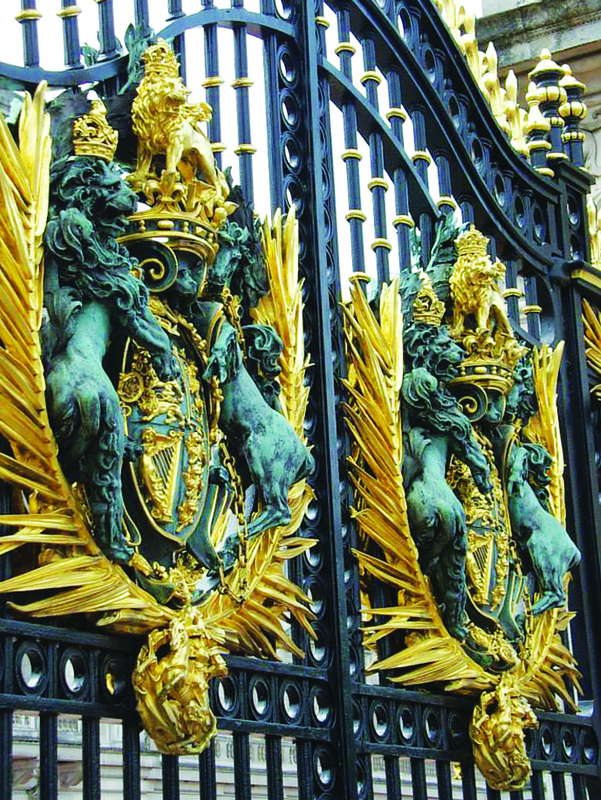 The gates to Buckingham Palace. The last leg of my month-long trip to England consisted of visiting a small town called Southwell and a slightly larger town known as London. 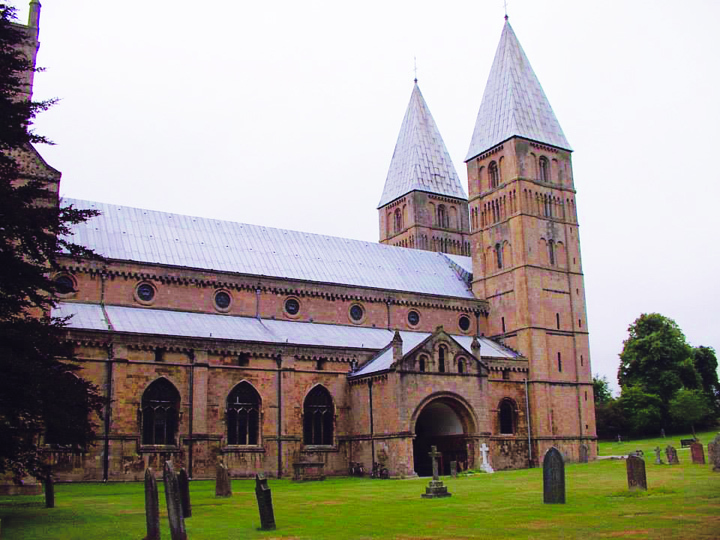 While in Southwell, we visited the Southwell Minster, a bona fide cathedral. Finished in 1150, the minster has seen its fair share of history. Southwell is where King Charles the First was captured during the English Civil War. The fighting saw the church seriously damaged and the nave is said to have been used as stabling. The adjoining palace was almost completely destroyed, first by Scottish troops and then by the local people, according to Wikipedia. Many years later in the 1700’s, the southwest spire was struck by lightning and the resulting fire spread to the nave, crossing and tower, destroying roofs, bells, clock and organ. By 1720 the damage had been repaired. Today, the minster is home to the Very Reverend John Guille. It is the seat of the Bishop of Southwell and Nottingham and the Diocese of Southwell and Nottingham. chocolate milkshake here is a frothy chocolate milk to them. I learned that lesson quickly. While I seriously considered buying some flower seeds, instead we purchased some boiled sweets (hard candies) and proceeded to call it a day. A week later found us in London, the last stop on my trip. Truth be told, I had been dreading going to London the entire duration of the trip. It meant leaving my now fiancé and having to leave for home. Nonetheless, we made it to London and we stayed at a lovely inn called the Blandford Hotel. Here is where we experienced quite probably the world’s smallest elevator. You could fit yourself and one piece of luggage, if you were lucky. Conveniently, I had come down with a nasty head cold and was feeling very miserable, but I’d like to think I took it like a champ and ventured around London as best I could. The first day we were there we mostly looked around our surroundings, but the second day we properly walked around and visited Westminster Abbey and Big Ben, the London Eye, Buckingham Palace and Hyde Park. I found it interesting that as soon as you got away from the more touristy areas of London, the streets calmed down and you didn’t feel the pressure of a sea of people around you. Hyde Park was easily my favorite due to my love for flowers and nature. After Hyde Park, we decided on dinner-KFC for him and Chipotle for me-and we went back to our room at the Blandford. I packed up my things, heavily medicated myself and fell asleep dreading the next day. 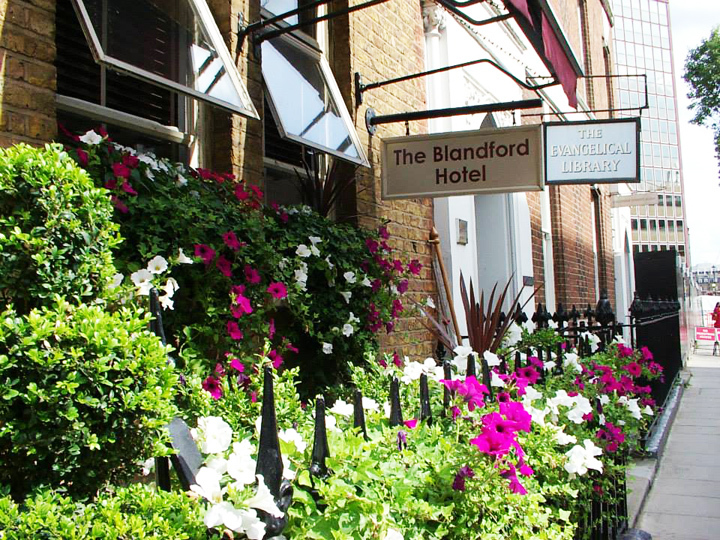 The Blandford Hotel in London. Walking from Baker St. station to Victoria Station is a huge, royal pain. Especially when you’re sick and you have to drag your luggage over uneven cobblestone. Eventually we made it to the station where we took a train over to Heathrow. By then I was a mess of emotions and being dreadfully sick didn’t help matters. Time was running out. We said our goodbyes, I left to catch my plane, he left to catch his coach, and that was that. That was easily the most wretched flight of my life. But every cloud has its silver lining. By the time you’ve read this article, I will be mere weeks away from seeing my best friend again and this time we’ll be walking down the aisle together and I could not be happier. Well, there you have it. I’ve told my tale of England and I hope that you found it a good one. I’ll be off on more adventures soon enough in my new home across the pond, but for now I’ll take it one day at a time and enjoy the beauty that is Florida just a little while longer.